I used to be a news junkie – just couldn’t get enough of it. If I were having a restless night, I would listen to BBC World that plays on KRCC at 3:00 a.m. And after BBC World, I would listen to “Morning Edition” on NPR. And then I’d get up, turn on the computer, and check the New York Times’ opinion page. Like binge eating, ingesting too much information can lead to a sugar-rush followed by a hangover and depression. ‘Used to” is the operative word: I’ve cut back. I am managing my intake of toxins. I listen to the news. I’m aware, but I am not involved. My blood simmers rather than boils. Health-wise I cannot afford to binge on news. President Obama will confer with the U.S. Congress tomorrow on the 9th and address the nation as to his strategy on the following day. The word “strategy” is a reach. How exactly do you devise a strategy when the world is going to hell in a hand basket and dozens of hot spots threaten world peace? If you think of a smoldering world in fire fighting terms, where do you place your men and resources? My concern is that social media is mostly sound-bites. If the electorate is relying on social media for the NEWS, they are ill-informed. Social media does not lend itself to critical thinking. We can only hope that Congress, refreshed from their recess, will have spent some time thinking critically. More likely, given the pending, mid-term elections in November and their eyes on the polls, our politicians do not have the liberty of critical thinking. Yes, my view is jaundiced. Enough! As I wrote, politics (and an individual’s inability to affect change) can drive a person to drink, but there is a remedy: my strategy is to listen to more music and view more art. I may have mentioned that the highlight of my summer in Westcliffe is Jazz Camp where aspiring young jazz musicians gather for a week of studying and playing with professional jazz musicians. The music speaks for itself, but seeing such dedication and talent from our youth is inspiring. I find myself thinking that perhaps the future is not lost. Perhaps we are not going up in smoke. 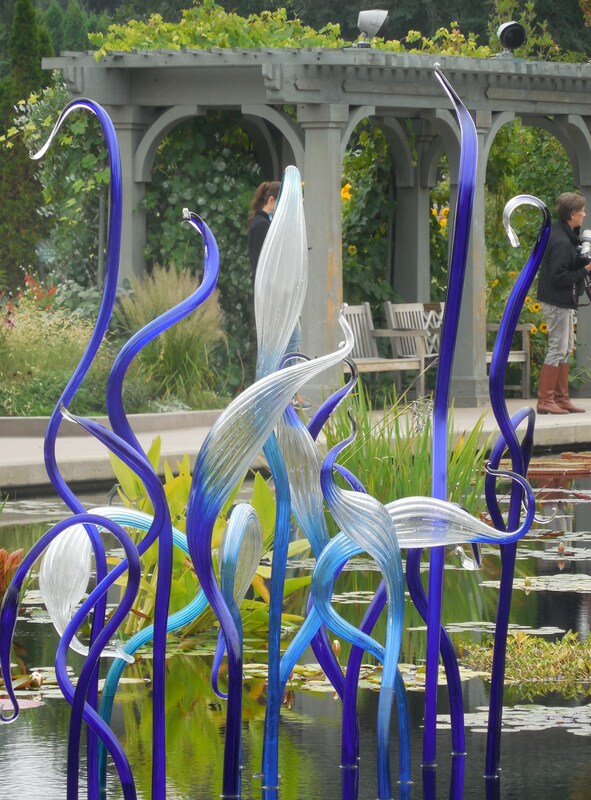 As for Art, I visited the Denver Botanical Gardens this past week and came away uplifted. I walked in and I floated away. 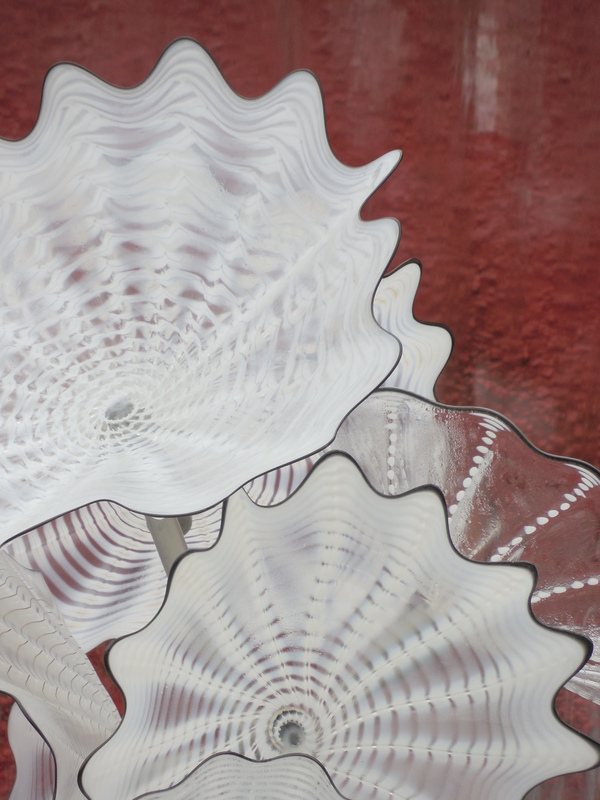 Like music, the garden speaks for itself, but this season the American glass artist Chichuly is on exhibit through November 30. Oh my goodness! I had seen his work in airports and as installations previously, but to see his artistry embedded in a garden, to see his work an integral part of nature, is a wondrous thing. I plan to return. The gardens open at 8:00 a.m. and that time is perfect – the light is good and the visitors are scant. From October 3 to November 30, the gardens are open and lit from 5:30-8:00 p.m. at which time I will have to take a second dose of medicine. As individuals, we cannot affect world politics, but with more music and art to sooth our savaged souls, we can moderate our knee-jerk response to 24/7 news. This entry was posted in Uncategorized and tagged " New York Times, " Westcliffe CO, "Is It WWIII or Just Twitter, BBC World, Chichuly, Denver Botanical Gardens, Maureen Dowd, NPR Morning Edition, President Obama. Bookmark the permalink. Speaking of “Amen”… I really want to participate in the community chorale this Christmas. Please, Amy, don’t let the beginning of rehearsals slip my me. I am not much of a singer, but I would love to participate in a non-political, community-wide love-fest. Thank you for the doses of beauty! I agree with you and can relate. We’ve become a ‘no news’ family over the years, as we can’t deal with the influx of mayhem and tragedy on a constant 24/7 basis. Yes, we like to be informed, but it affects the entire energy and mood of our household if we don’t limit it or offset it with things like fresh air, good friends, beauty or creative outlets. I am glad to see you cut back and infused art into your life! Nice to hear from you Torrey. How is the writing coming? I am now writing with two neighbors and working towards five pages every Wednesday. Deadlines. I love them – can’t work without them. Thanks for reading. It’s Sheila from Courage Classic – your partner in Breckenridge with the nutty outfit! I hope you are doing well, I enjoy reading your blog – I’ve never read one before, a ‘first’. 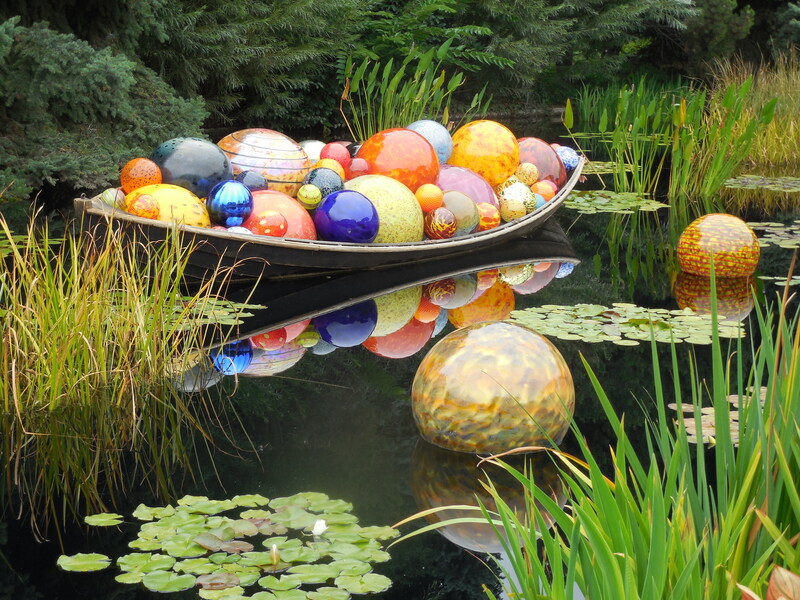 Thank you for the lovely pictures of Chichuly’s Art at the Botanical Gardens – I need to go for a dose of medicine there! I think of you often and about our conversations on that corner in Breckenridge, thank you! Dear Sheila, Looking forward to chatting again. Maybe we don’t have to wait for next year’s Courage Classic. Perhaps you are looking forward to a roadtrip. Westcliffe is to the south between two mountain chains. Email first to make sure we are home. Or ring us at 719-783-2697. Costume… yes… I should do a costume. You have artfully put life in the “crazy world” in perspective! Thank you. 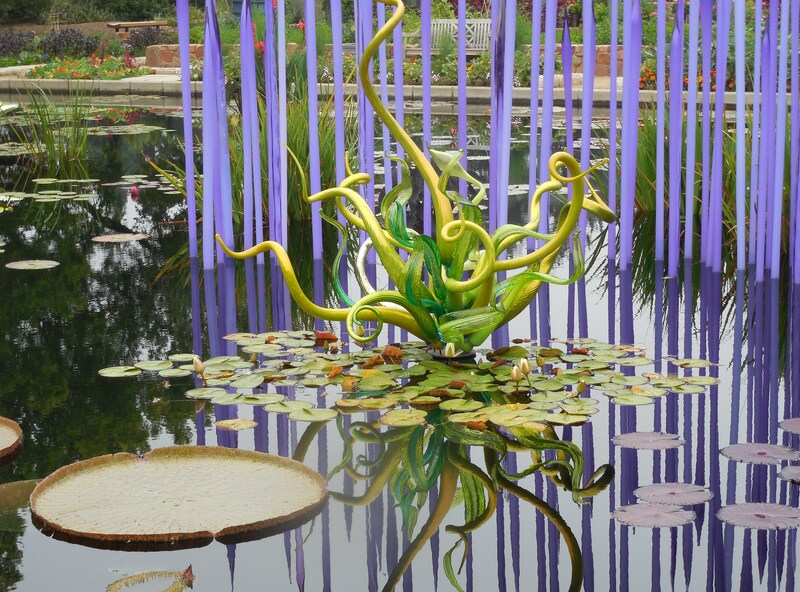 Dear Rose, If there was any Art in my blog, it probably belonged to Chihuly and the Denver Botanic Gardens. A great pick-me up. Hope your life is going well. Do you still “on the road” with your motor home? Will always thank you for your thought-provoking questions in regard to my writing. Best wishes. Double Amen to Amy’s Amen. Awesome photos and poignant thoughts as always. Have a great day! Dear Phylis, I plan a return trip to see the exhibit at night. Any chance you can join us at the girls’ house and we can go together? The photos don’t do the exhibit justice. If one is only reading or listening to BBC, KRCC, NPR and the New York Times then one is being immersed in opinion with a sprinkling of facts. Try http://www.dw.de which is probably the best unbiased news one can find. Maureen Dowd’s latest columns are a mystery to me. Is she clearing the Obama legacy for Hillary or has she begun to live in the real world? If I referred to you as the Maureen Dowd of Westcliffe would that be an insult or a compliment? You both are wonderful writers. Unfortunately, finding diversions from current events do not make those events less relevant in our every day lives. A sprinkling of reality and fantasy in just the right proportions may be the only solution to sanity. 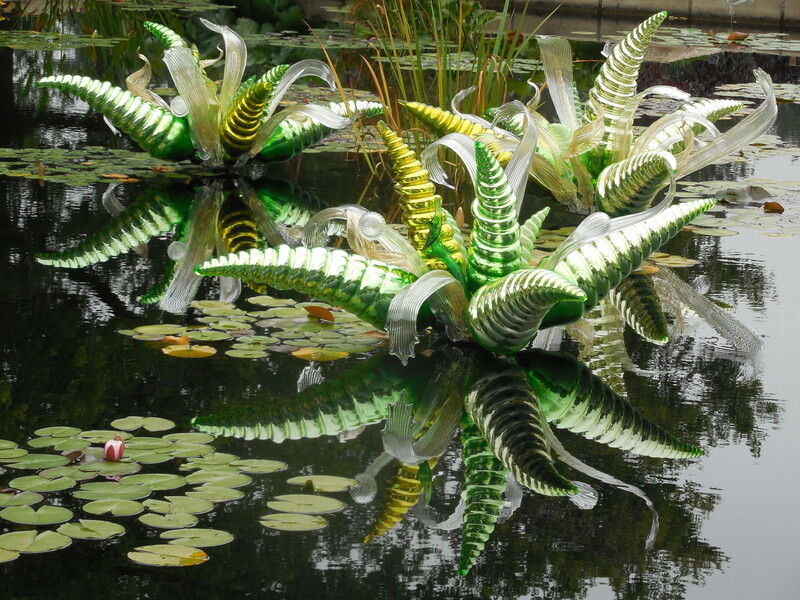 Your pictorial essay from the botanical gardens was my dose of fantasy for the day. Dear Lou, I am honored that you read my blog. It is always affirming to connect with a thinker and a gifted writer. I do not subscribe to the Sentinel in Westcliffe, but I do buy a copy from time to time. Does reading the Sentinel periodically get me off the hook in terms of information “range”? I will check out http://www.dw.de and let you know my thoughts. Referring to me as the Maureen Dowd of Westcliffe is a compliment… that said, she too has her bad days. Best wishes. Thanks for reading, Anne. Have a safe trip home. I will connect with Katherine Williams as you suggested.